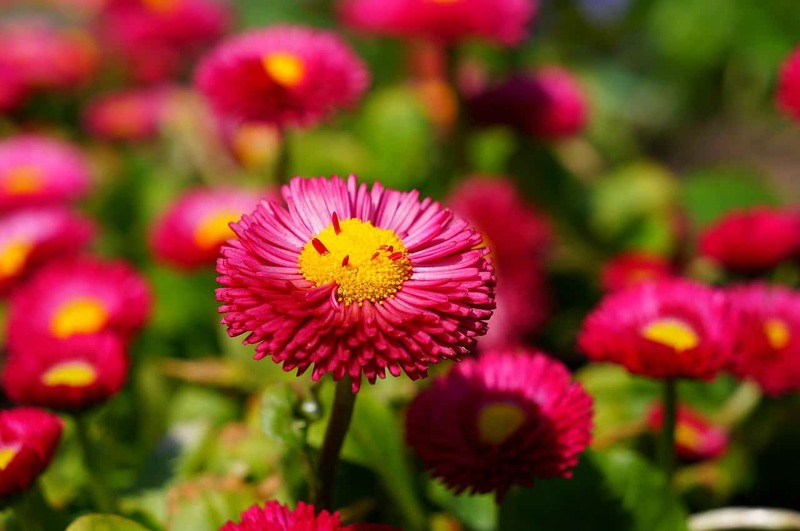 Colorful flowers make your yard pop like nothing else can. They are like the finishing touches of the artist’s brush that bring the canvas of your yard to life. 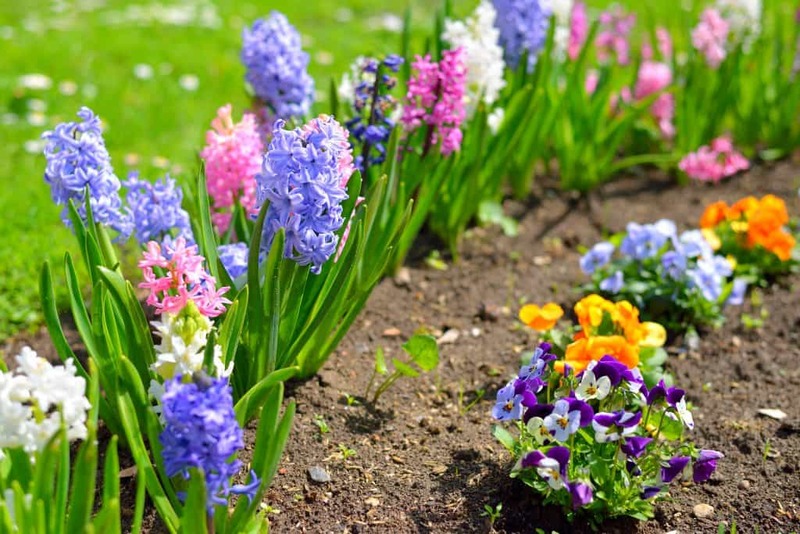 When planting flowers, consider not only the bright spots of color for your yard, but also the flower arrangements inside. You can enjoy lovely vases of colorful flowers from spring to fall with seasonal accents with a little planning. If you’re looking for some indoor choices, growing succulents is fun and probably the easiest! Sometimes all you want is a huge pop of color in your garden. That’s alright. Let’s look at some ideas for single color gardens. 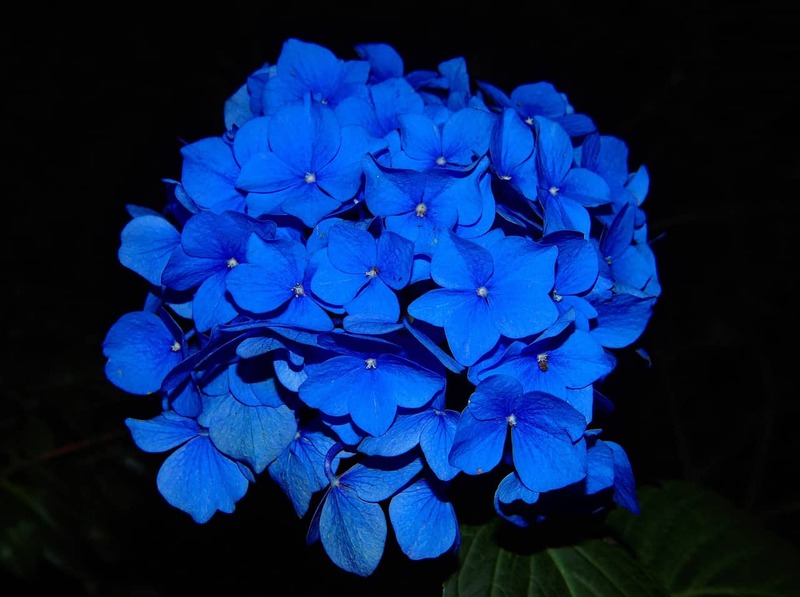 It can also be beautiful to gather blue flowers. These are not as common and add a lot of interest. 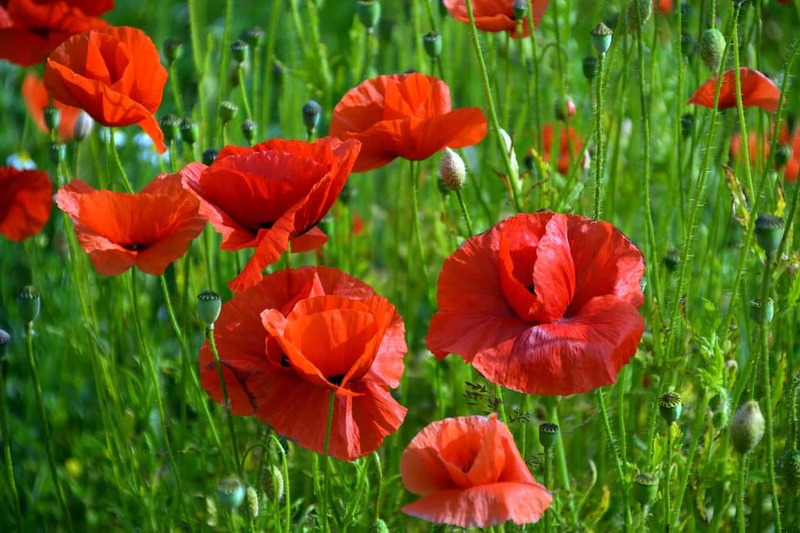 A garden filled with red flowers in different shades can add a bit of drama and energy in your front yard. You’ll turn a lot of heads with the vibrancy of red. Gorgeous combination of different shades of red flowers makes a lovely combination that pleases the senses. These delicate flowers bring a pop of color wherever they show up. I have some by my mailbox that come back year after year. They make me so happy every time a new one blooms! Easy to grow, these button like flowers are adorable! 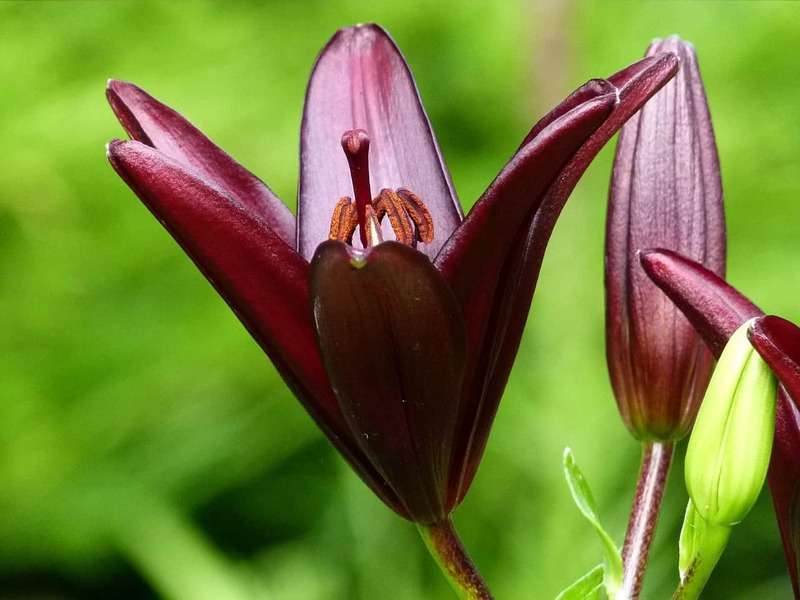 Stunning red Lilly will steal the show in your red garden. 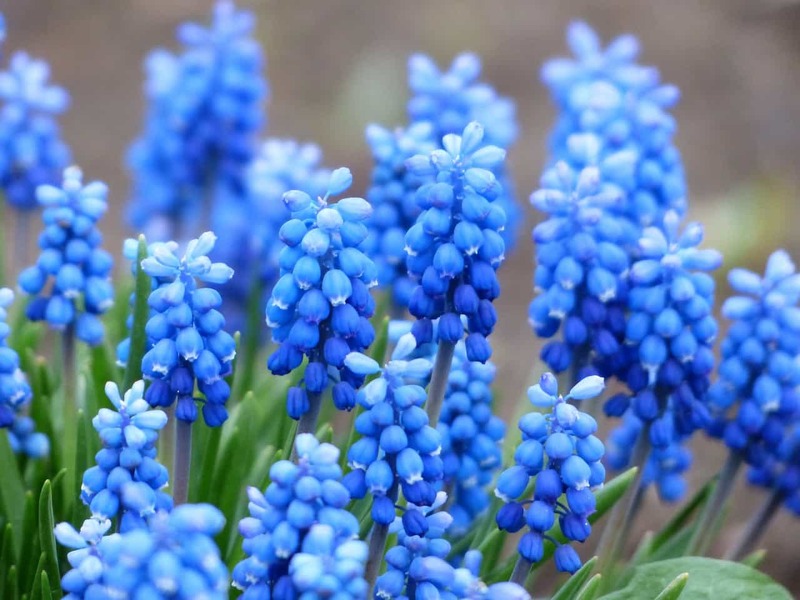 Stunning clusters of pretty blue flowers will bring a smile to your face every time you walk by. I love this delicate flower: perfect companion to yellow, red or white flowers. 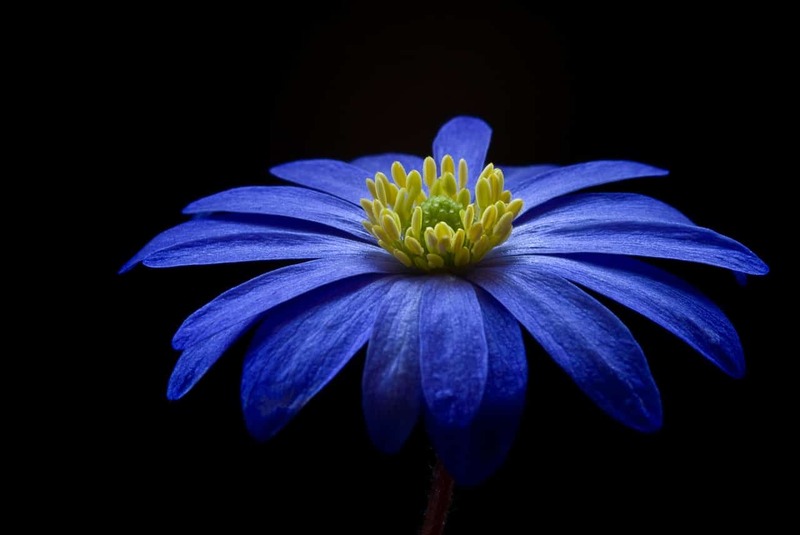 This vibrant blue flower is so precious! 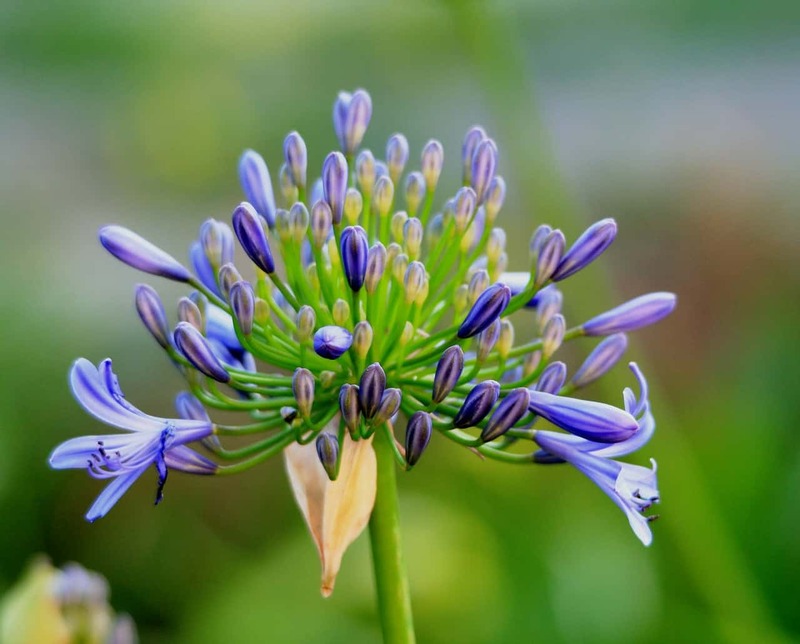 A star in any garden, it will contrast most other flower, creating an interesting dynamic. 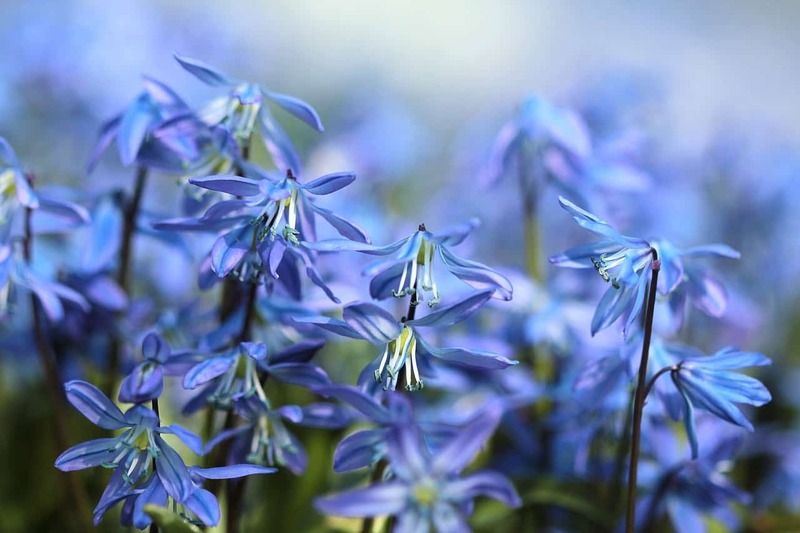 Dainty bell shaped blue flowers that bloom in the spring will surely catch your eye. I remember a forest full of these form my childhood. So pretty! I’m so intrigued with Hydrangea: I love how you can change its colors by the composition of the soil! 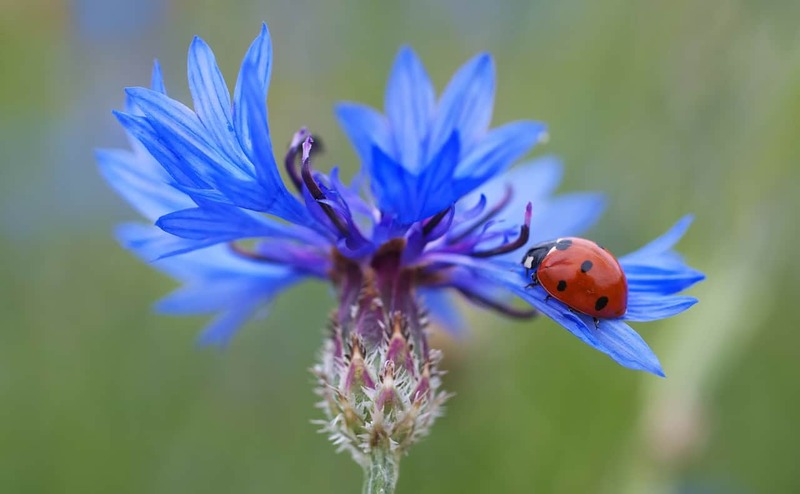 This adorable flower pops up in the most unexpected places, and beautifies wherever it grows. 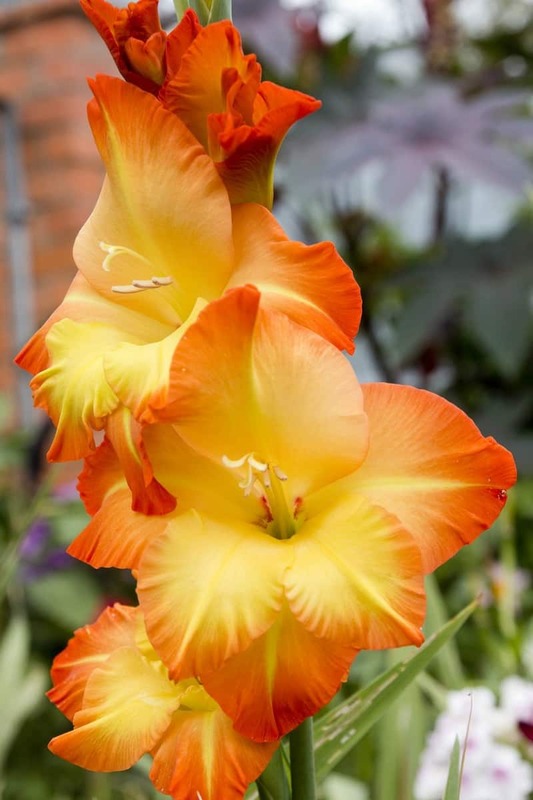 Stunning yellow-orange gladiolus: one of my favorite flowers! 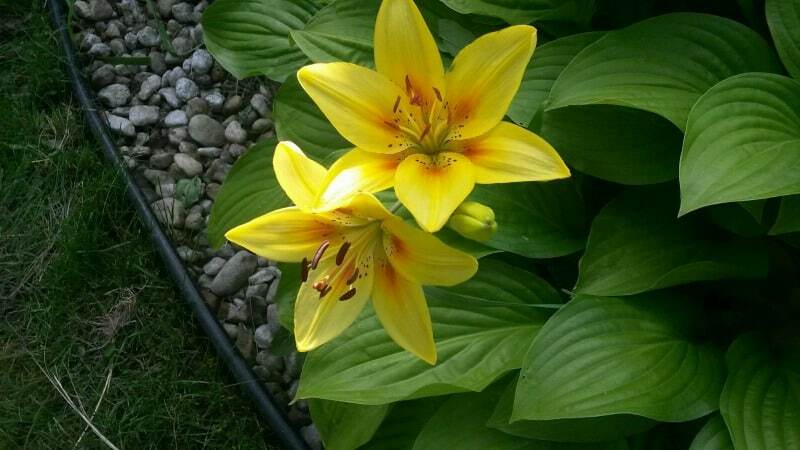 These cute yellow lilies, will brighten any garden! 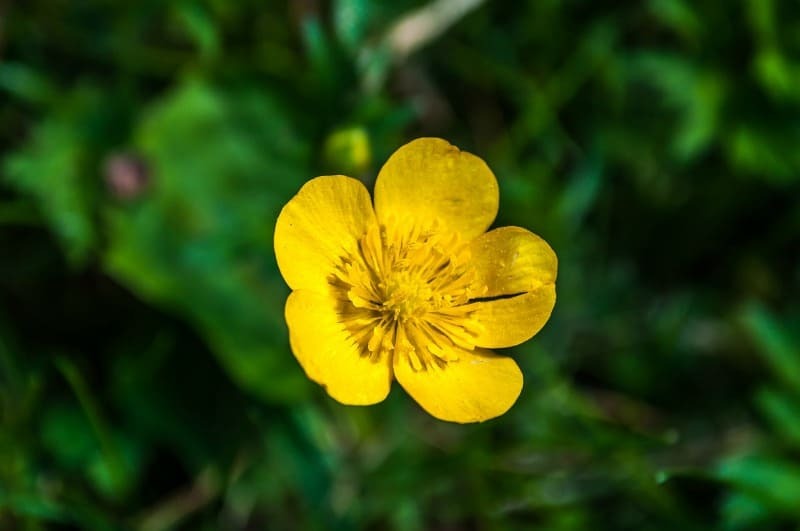 Pretty buttercups: they come in my yard on their own. So bright and cheery! Coming in so many colors, pansies are easy to grow and very enjoyable. 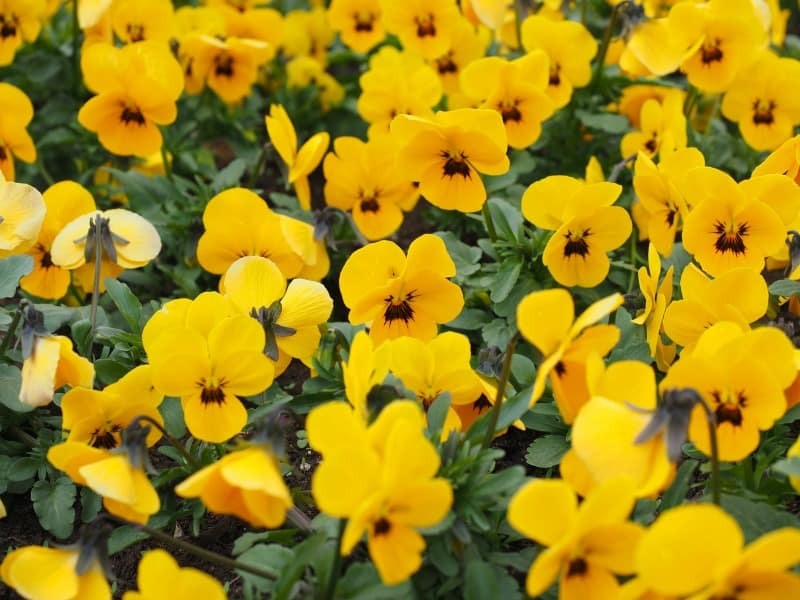 These yellow pansies are like little bright eyes greeting you from the flower beds. 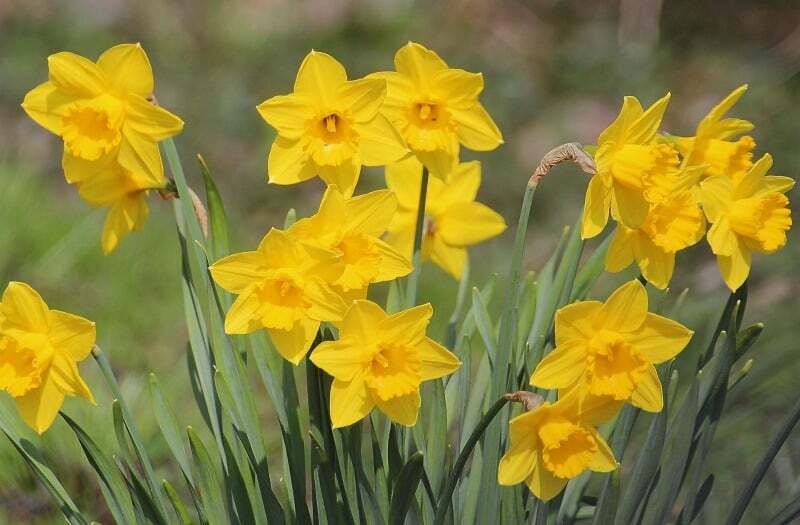 Gorgeous daffodils announce spring is here. 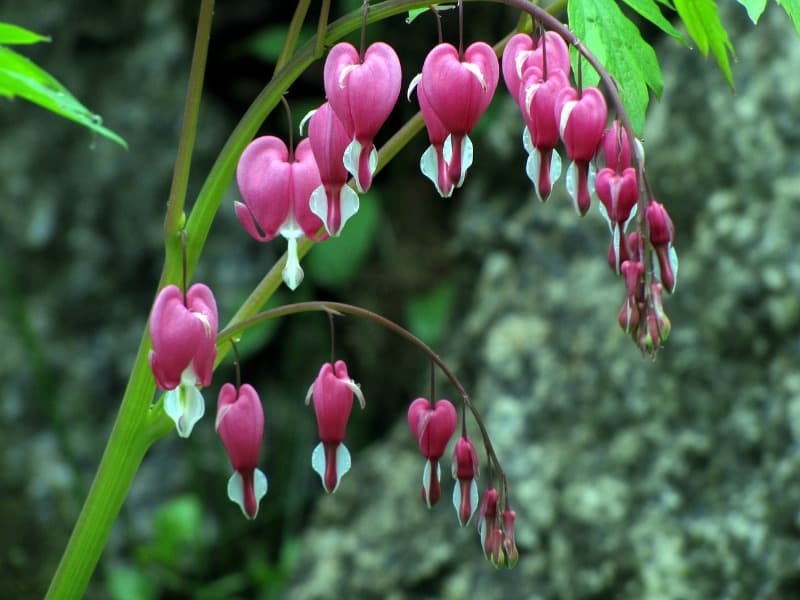 Dainty and delicate, these bleeding heart flowers will put a smile on your face. 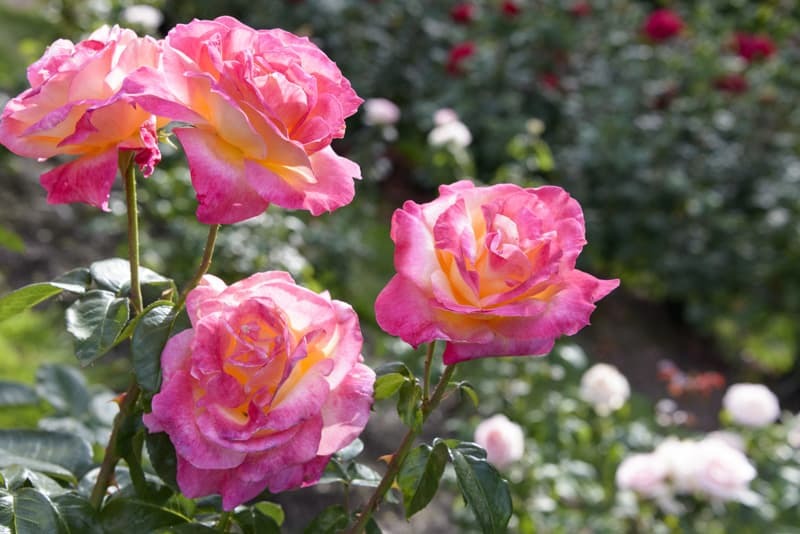 Roses are a wonderful romantic addition to the garden. Pink roses are gorgeous and most smell delicious! Add roses to your front yard. Camellias are just so pretty. 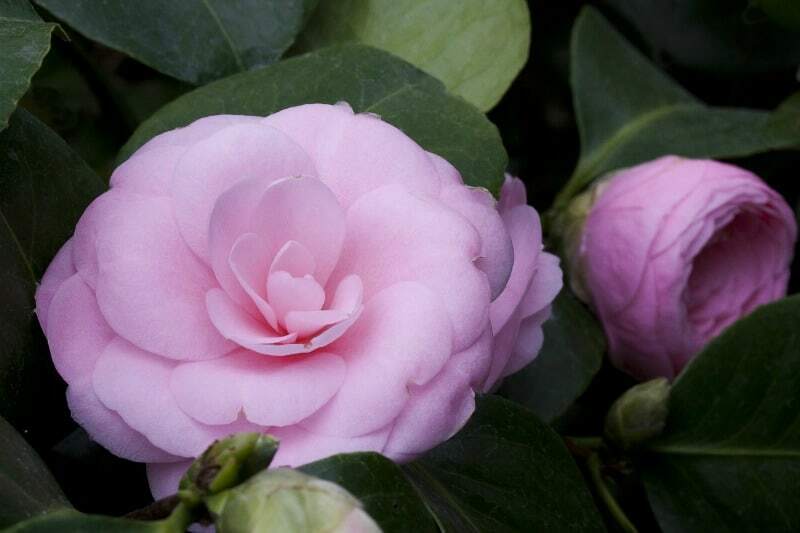 Here are some tips for growing camellias. 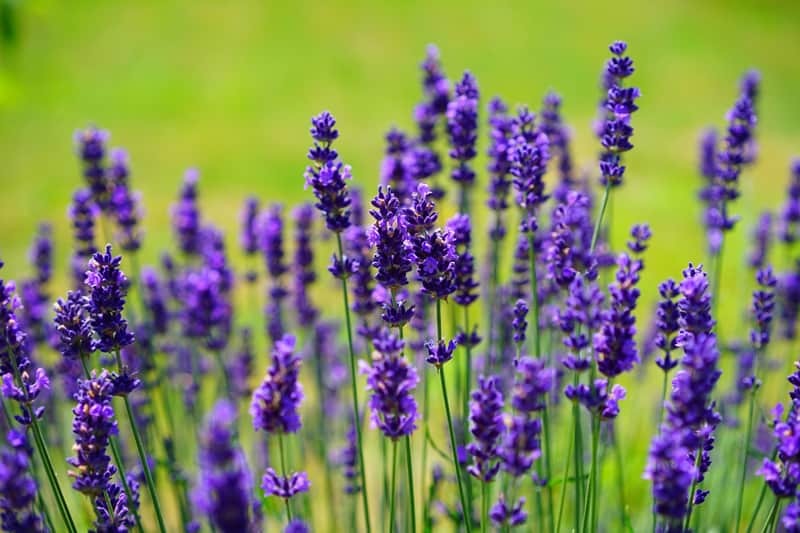 Bees love lavender flowers! You will too, when you see how easy it is to grow your own, and how good they smell. 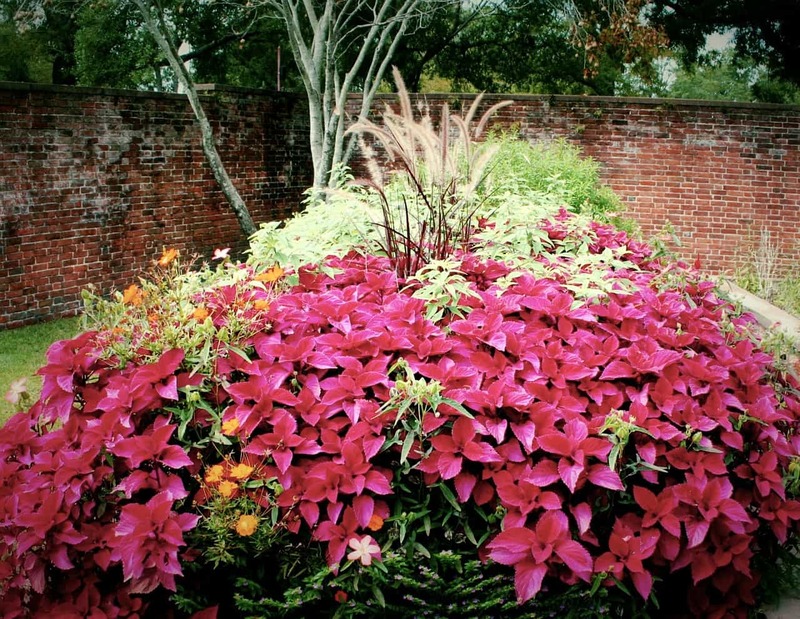 As pretty as focusing on one color in your garden can be, most people will want to combine different colors. A red, white, and blue theme garden looks stunning around the fourth of July. Soft pinks, reds, and purples create a very feminine look. You could also choose to plant a random mixture. 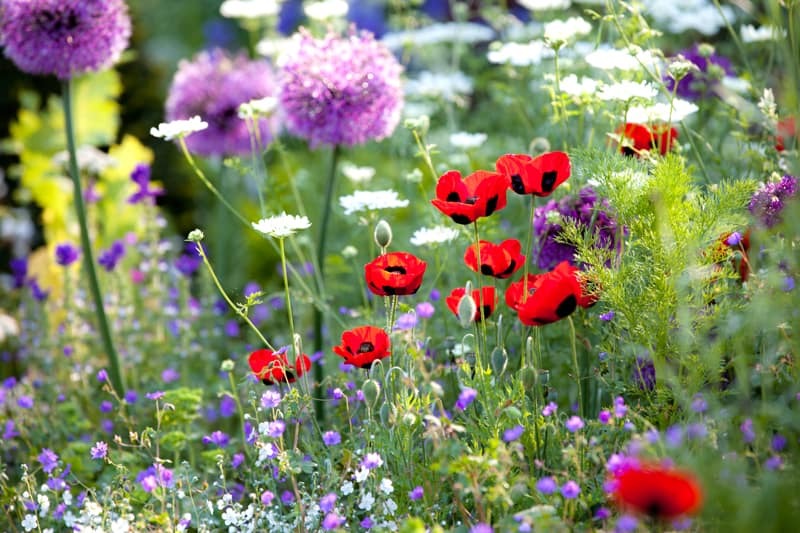 There are wildflower seed packets that contain many different kinds of flowers in different colors. This is a nice way to add a lot of color to your backyard if you’ve been feeling like it’s boring. Don’t worry about it all matching, these mixtures always look great. 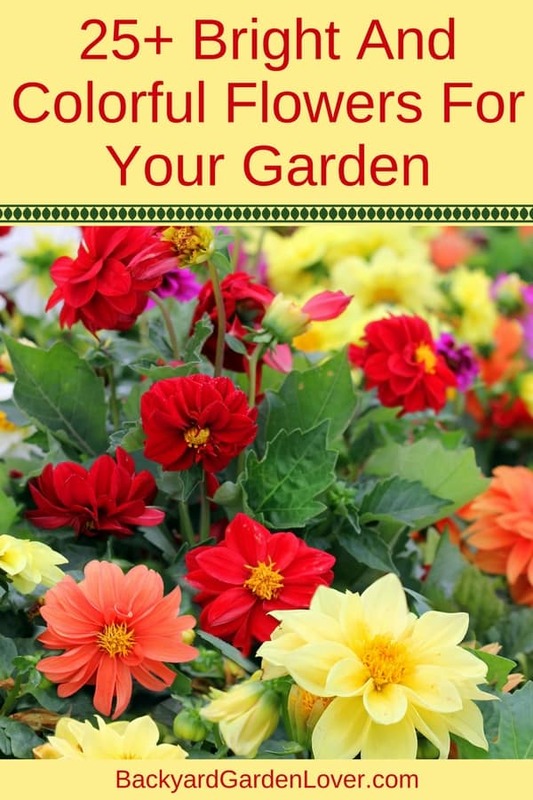 You can get as in depth with choosing different colors for your garden as you want. Some people will really get into it making sure that each color combination evokes a specific emotion or feeling. If you’re at a loss for color combination ideas you can head to your local florist. They are masters at knowing which flowers and colors to put together. Take a step back at all of the offerings and see if anything stands out to you. Another idea is to visit neighbor’s yard. 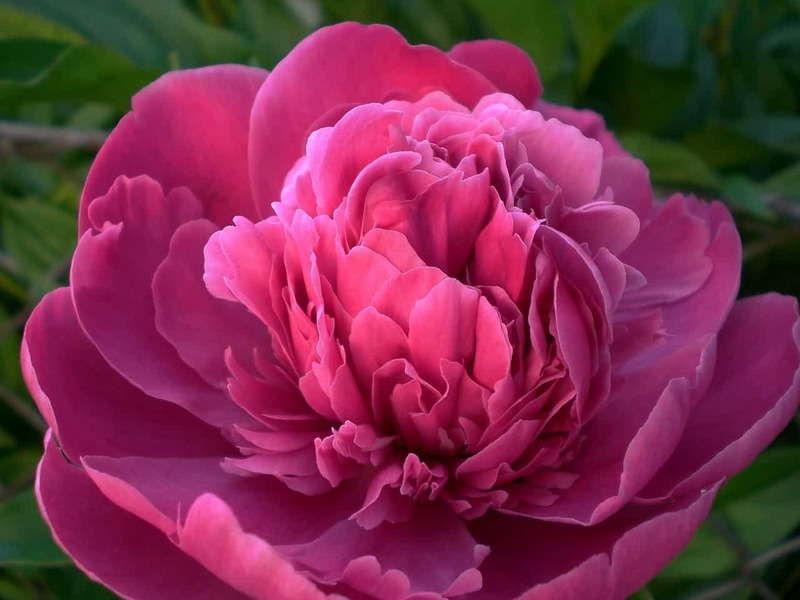 If someone else has a “greener” thumb than you have they might be a great resource to turn to when you need help deciding on the best colors for your garden. Many people like to focus on the different greens that are out there. Even though green is a single color there are various shades and hues of green. Dark green can look absolutely gorgeous when mixed together with lighter shades. 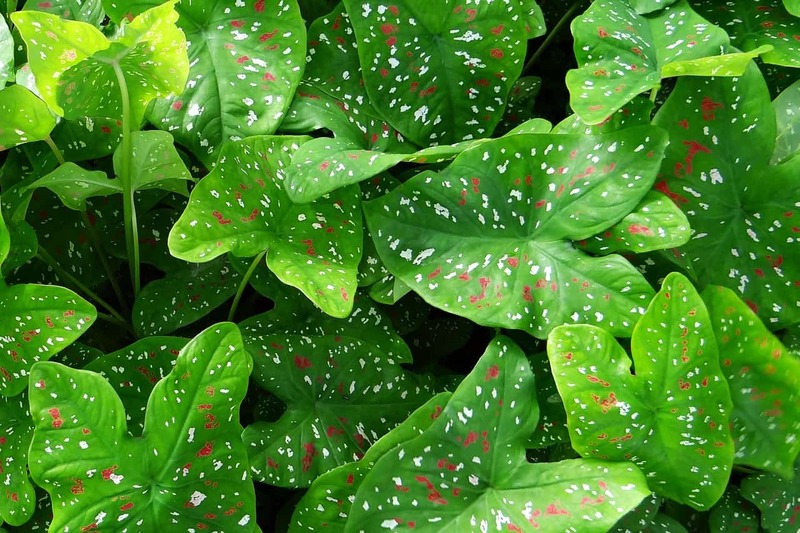 Caladiums are a great for shady garden beds or containers. They look gorgeous from early summer until frost. 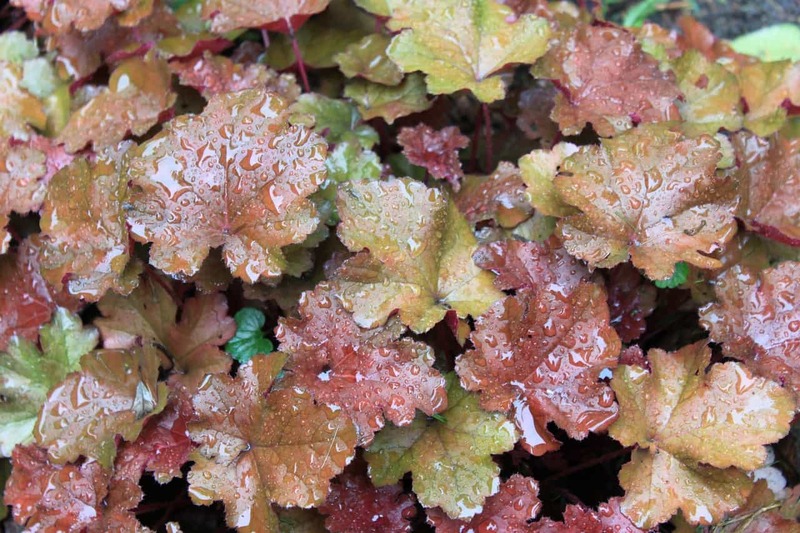 Heuchera is a beautiful addition to any garden. 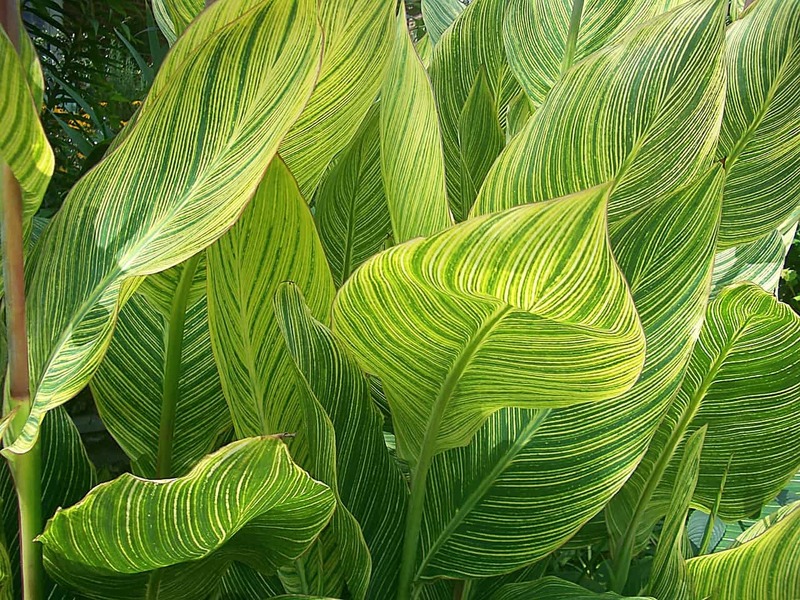 With leaves coming in several different colors, from purples, to silver, and red, and bronze, and speckled, they make a gorgeous spectacle in your garden. And when it blooms, its small bell shaped flowers are just an extra delight to see. 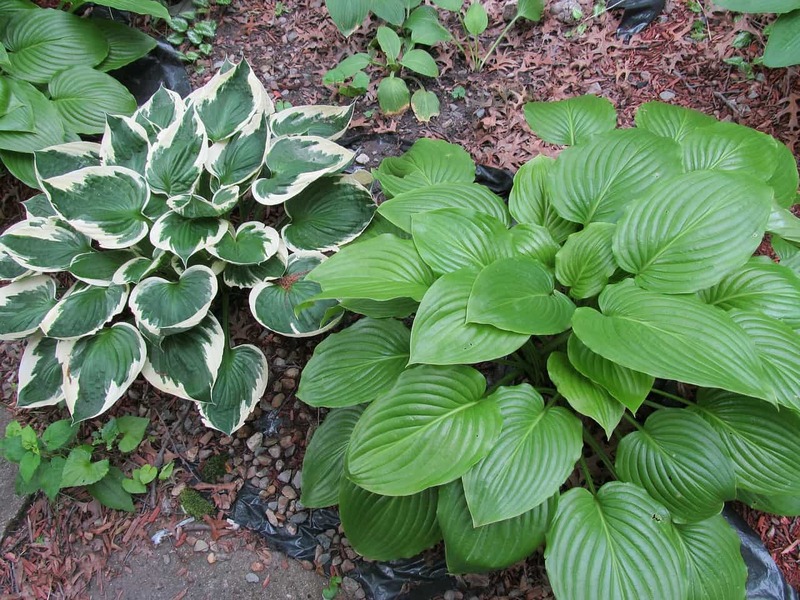 Shade-loving perennials, hostas will brighten even the most boring spot with their gorgeous foliage. Lots of color in these leaves, and the flowers are pretty too! Easy to grow, Coleus comes in a many colors, both solid and mixed. Make sure you water them well during dry times: they need their water! These tropical beauties are stunning! 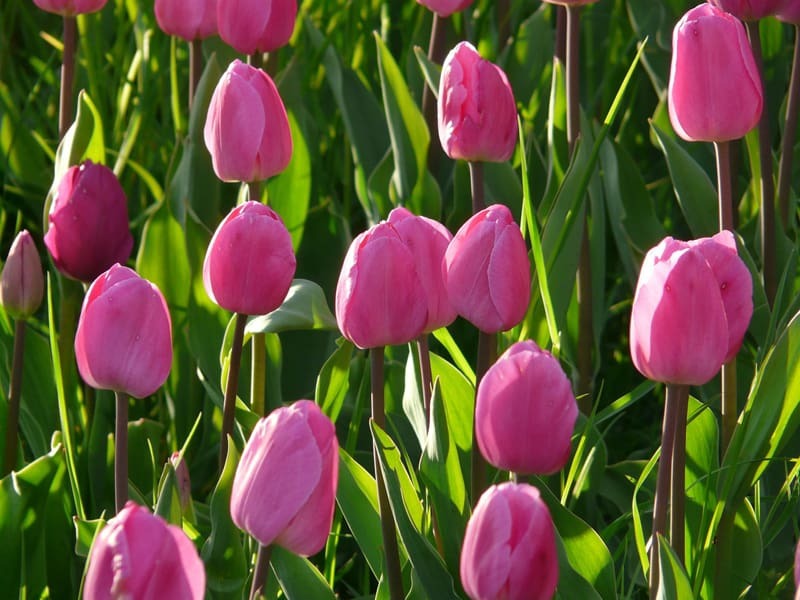 Growing in green, bronze, black, variegated, or striped foliage, their flowers also come in many colors: pink, orange, yellow, red, and even bi-color. Don’t forget that vegetables add color too! 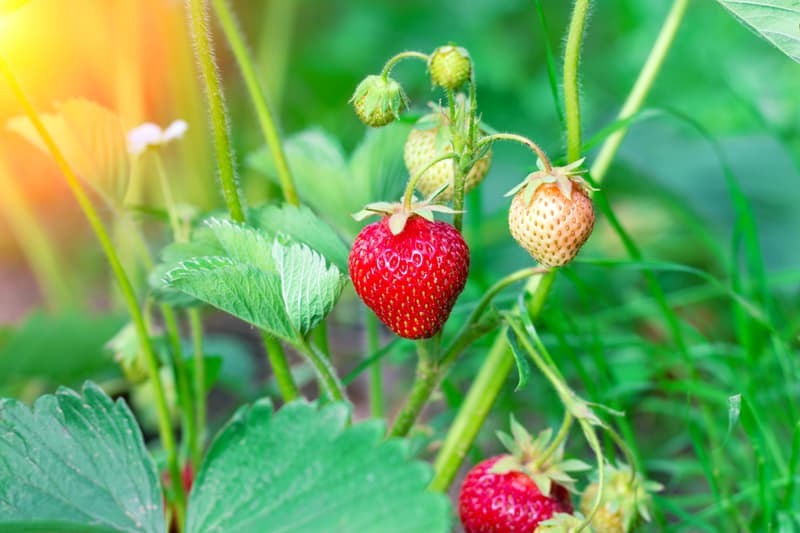 When you’re growing vegetables your first thought probably isn’t about which colors look best, but you can make a conscious effort to combine the best looking vegetables to create a dramatic effect in your yard. 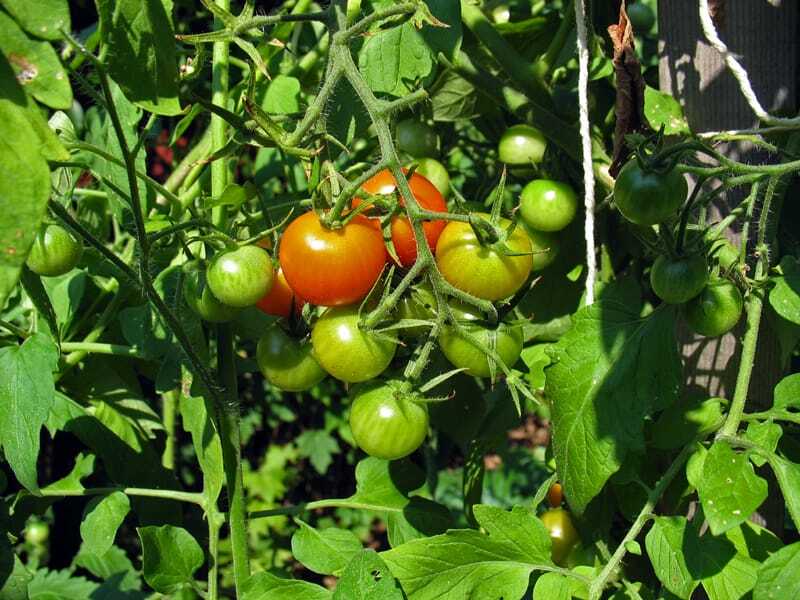 Grow the best tomatoes with these tips for growing tomatoes. 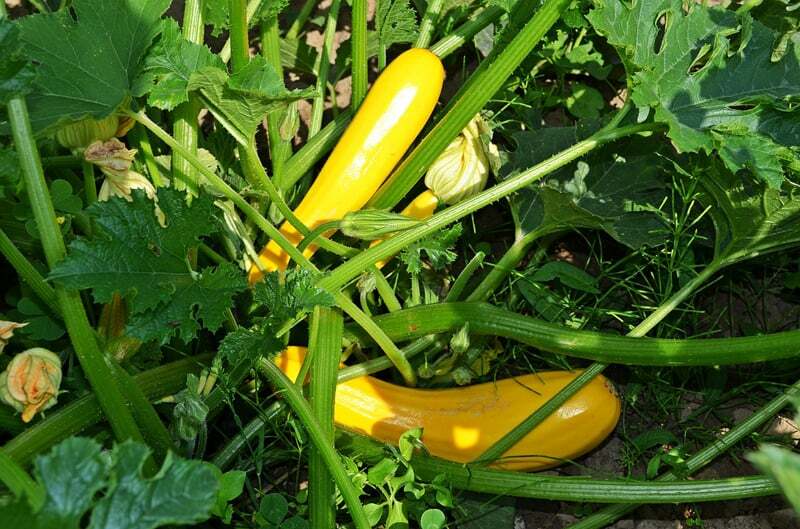 Everyone can grow zucchini! We always have extras for family, friends and neighbors. And when we gave to everyone, we freeze some for later. 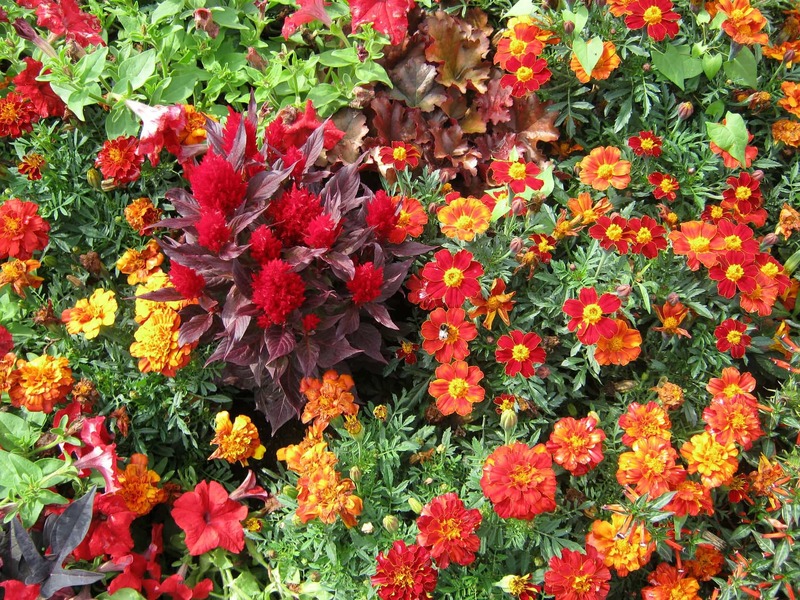 Adding color to the garden is an amazing way to add beauty to your yard. You can really have fun with the natural colors that are out there. 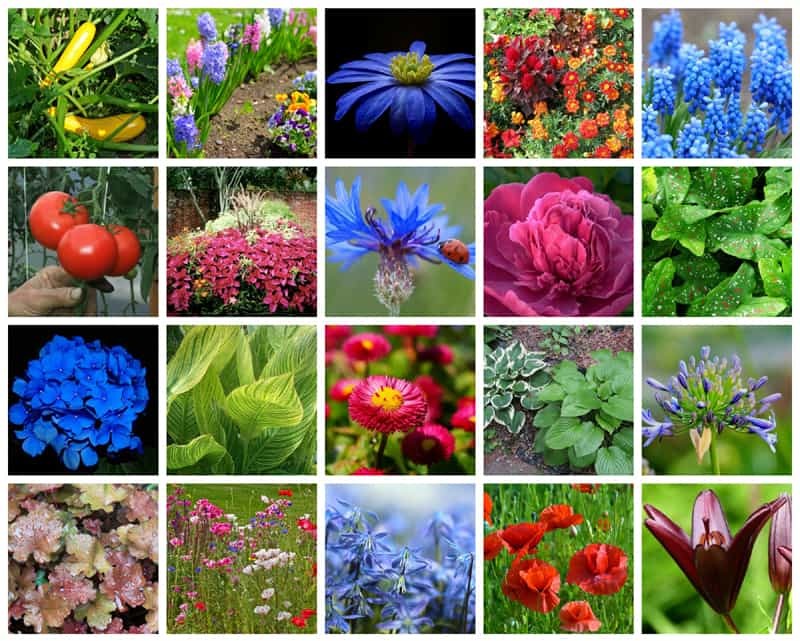 Check around for inspiration and get started with your own colorful flowers garden today.